Introduction and Uses: The new Zinnias are one of the most brilliant colored annuals grown in the garden and are most suitable for cut flowers which last long. Flowers range from white, cream, primrose, golden yellow, orange, scarlet, crimson pink, lilac, purple to chocolate. 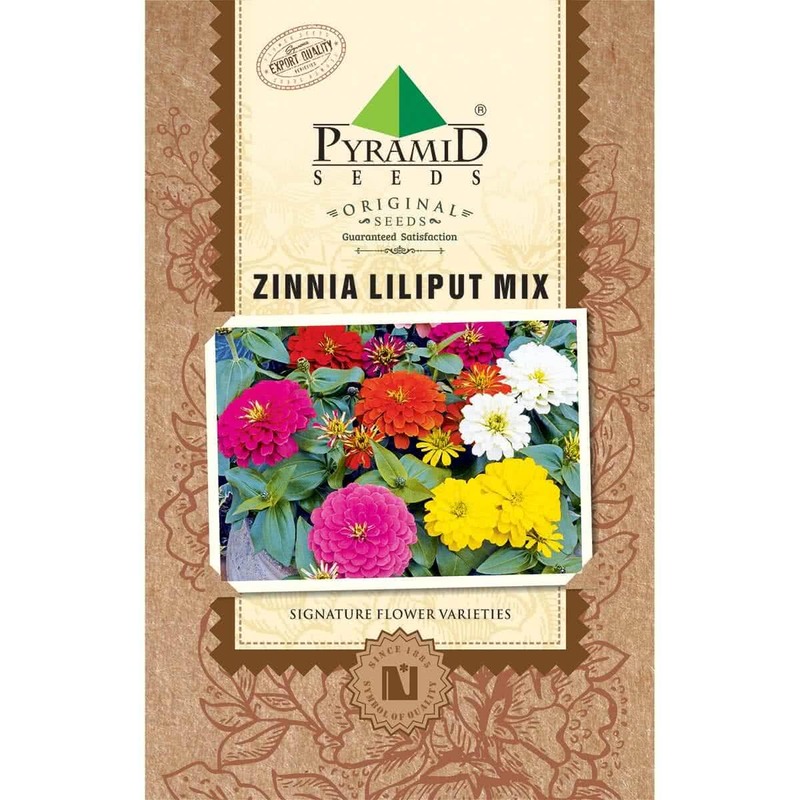 Zinnias are suitable for growing in borders and flower beds. This dwarf cultivar Zinnia Lilliput is especially suited for edging, window boxes, and pots. The variety stands adverse conditions better than their taller counterparts. Lilliput yields exquisite flowers for cuttings. Planting Distance: 25-40 cm apart, for pot culture 20-30 cm pots are suitable. Watering: Zinnias are benefited by heavy watering in longer spells rather than by frequent light watering. Plants grown in the garden are watered twice a week, while the potted ones are watered every alternate day. 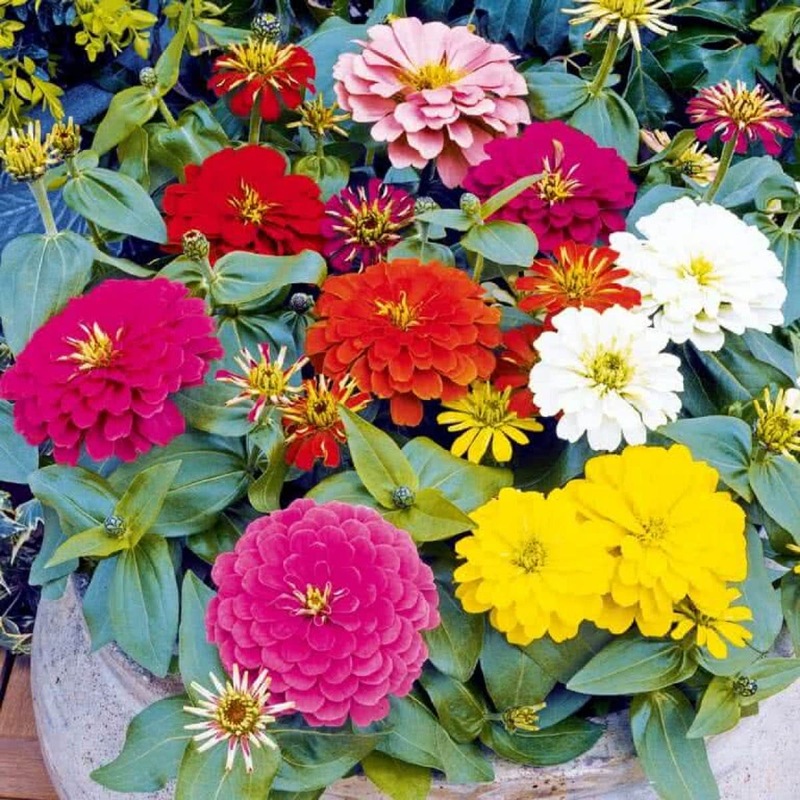 Plant care: Zinnias can get affect by a viral disease called spotted wilt, as a result of which the leaves get curled. Spotted wilt is spread by thrips, which should be kept under control by a spray of insecticides & pesticides. It is advisable to uproot and destroy affected plants.